Parents of picky eaters will tell you that one of the most difficult things they have to endure is judgment about their kids’ eating habits. That’s why it’s so refreshing to see a gentler, more empathetic discussion of picky eating. 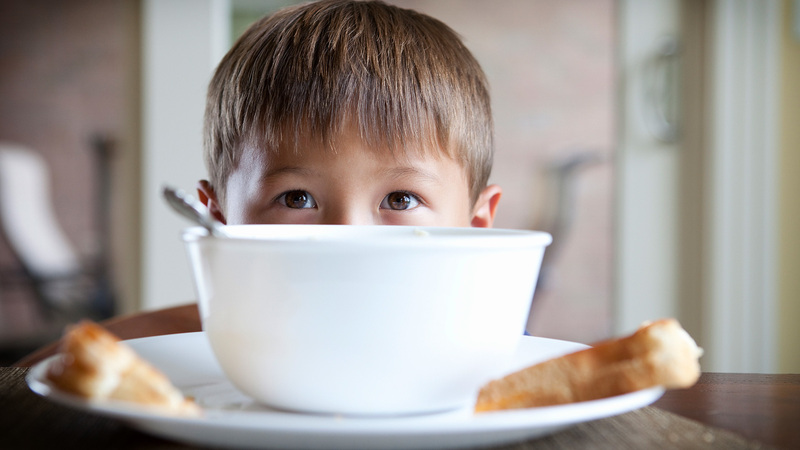 In a recent New York Times article, “When Do You Worry About A Picky Eater?” pediatrician Dr. Perri Klass offers a much-need dose of compassion for parents of picky eaters, as well as some common-sense, helpful advice. Klass quickly dispels the myth that picky eaters are somehow enabled by negligent parents. “The truth is that it can be genuinely painful for parents to watch their children refuse food,” writes Klass, adding that parents of picky eaters often worry that they are somehow failing to nourish their children. As the mom of a very picky eater — one who spent the first few years of his life subsisting entirely off bread and nuggets — I can say that this worry is very real. You feel as though you’ve done something genuinely wrong to be raising a child who is unwilling to eat much of anything, let alone a healthy variety of foods. It wasn’t until I had my second child — who was barely picky at all — that I realized my older son’s picky eating wasn’t caused by something I had done, but was just who he was. Even after I began to accept that my picky eater was just born that way, I continued to get sideways glances and comments like the ones from my grandparents, who watched my child eat nothing but cornbread at Thanksgiving and wondered if I was coddling my child by not pressuring him to try the stuffing or cranberry sauce; or the great aunt who thinks that my son’s picky eating exemplifies everything that is wrong with this generation of parents. As for what to do to help children diversify their diets, Klass cites the work of Dr. Natalie Muth, who reassures parents that it can take a lot of tries for a child to accept a new food. Muth encourages parents to just keep offering the offending foods, encouraging your child to take as much as a small lick of a food to experiment. She also espouses the “division of responsibility” idea of eating, made popular by the dietician Ellyn Satter, in which parents are encouraged to offer a variety of healthy foods, including ones that they know their picky children will eat, and it is the child’s responsibility to eat the food or not. If I am being totally honest here, I have tried almost all of the methods Klass offered in her article, and have almost always failed. The way that I’ve dealt with my picky eater these past few years is to basically throw my hands up in desperation and accept that this is just how my son is going to be. I’ve tried to feed him as healthfully as he will let me, and hope against hope that he will outgrow his picky tendencies eventually. Thankfully, Klass addresses the fact that some picky kids truly are that picky, and the usual the methods out there to help picky eaters don’t always work. “Despite a parent’s best efforts to offer a variety of foods, some children are pretty resistant,” admits Klass. So what’s a parent like me to do? Klass ends her essay by saying that picky eaters can be helped, but it just might take more time than one might expect. I suppose the question is, “How much time?” I was reassured by the advice of my own pediatrician, who not only told me that my son was perfectly healthy despite his pickiness, but also that most children become less picky by 10 years old. I definitely don’t want to jinx it, but this has certainly been the case with my son, who will turn 10 this winter. Each year, his short list of acceptable foods becomes a little bit longer, and he is no longer spooked if his slice of pizza has a little speck of green on it. He would still probably subsist wholly on bread and nuggets if I let him — and still stays as far away from applesauce as humanly possible — but I will take what I can get, and feel proud of him for the progress he’s made so far, even if it took much longer to get there than I thought it would.